Whether you're looking to consolidate, settle, or outright eliminate your debt, choosing the right debt relief service is crucial. Below is a summary of our recommended services, along with key facts and ratings about each. To get a consultation, simply click on the name of the company you prefer to visit its secure website. Many Americans have found themselves deep in debt in recent years and don’t know which way to turn. Perhaps this isn’t surprising given the high cost of living, relatively low wages, and the meager savings that most of us manage to set aside. But what many of us may not be aware of is the number and type of programs out there to help relieve some of the burden of heavy debt. Here are some things every American should know about debt relief. 1. What is Debt Relief and How Does it Work? In simple terms, debt relief is the removal or restructuring of a certain portion of a loan obligation. It can take many different forms, including partial loan forgiveness, debt consolidation, government-backed loan programs or other options. One thing to keep in mind, however, is that not all debt relief programs or plans are alike. Care should be taken when considering debt relief not to do damage or cause any further damage to your credit. Depending on how much debt you have and the current state of your credit score, some types of debt relief may do serious harm to your credit. This is particularly true in the case of credit card or consumer loan debt, where creditors may place a “charge-off” or other unfavorable note on your credit report as a result of debt relief negotiations. A notation like this can stay on your credit report for up to 7 years and can lower your credit score by quite a lot. Debt relief programs are often designed to deal with certain types of loan debt, addressing the factors and considerations unique to each. There are both government and privately managed programs that are available to consumers — often without the need for an outside agency. Of course, there are also debt relief programs that are complex, and are best handled by experts in the field. Here are some examples of different types of debt relief programs available. Credit card debt relief is one of the most common forms of debt relief consumers seek. It can be as simple as calling your card company and asking for a reduction in your APR or some extra time to pay your balance. Of course, It can also be complex when you are unable to meet your debt obligations and must negotiate a settlement. Whether you choose to negotiate directly with your credit card issuer or hire a debt relief company to help you through the process, it pays to do your research and know your options. See options for debt relief companies listed above. The explosion of student loan debt in recent years has led to a steadily increasing number of loan defaults. Fortunately, there are student loan debt relief programs — both private and government-run — that can help make student loan debt more manageable. There are also loan forgiveness programs that can reduce your principal amount, and even eliminate your debt obligation entirely in some instances. In addition, many employers and even some states have initiated student loan assistance programs that can help in paying your loan debt. Begin your research by checking out the FTC’s Student Loan website. Being overwhelmed with medical debt can be an especially hard burden on anyone. Not only is health and welfare impacted, but there is the added stress of financial hardship. Medical debt relief programs are designed to assist those people who find themselves in financial difficulty due to medical bills. State and federal programs, as well as those run by private organizations, can help in lowering payments and consolidating medical debt into a single payment. There are also programs that offer grants and debt forgiveness for qualified candidates. It may be some relief to know that recent changes to FICO credit scoring treats medical debt in collections differently than other debt, and it can be removed entirely from a report when the debt is settled. In response to the housing crisis brought on by the Great Recession, Congress, and the President passed some pretty comprehensive programs designed to deal with mortgage debt relief. Programs like the Home Affordable Modification Program (HAMP) and the Home Affordable Foreclosure Alternative Program (HAFA) were designed to offer interest rate reductions, and, in some cases, principal reductions to homeowners who were in danger of losing their homes. In addition, the Mortgage Forgiveness Debt Relief Act of 2007 allows taxpayers to exclude as taxable income, debt reduced through a mortgage restructuring program. These programs have been extended through at least 2016. Programs that allow for grants, loans, and federal assistance for debt relief can be difficult to research, and even harder to qualify for. However, the U.S. Treasury Department publishes a comprehensive list of such programs on their website. Federal grants exist to help qualified consumers with overwhelming debt due to student loans, mortgage debt, medical debt, debt due to disaster or fire, and many other causes. When we think about the role of the IRS, most people don’t immediately think of debt relief. However, the IRS has programs as well as statutes written into the tax code that allows for a fair amount of leeway when it comes to collecting tax debt. When it comes to collecting what’s owed to them, the IRS is not unlike most other “lenders” in wanting to collect something rather than nothing. Programs such as the IRS Fresh Start Initiative offer taxpayers the ability to negotiate for less than what is owed, as well as taking advantage of penalty relief and forgiveness. If you owe IRS tax debt, it pays to check into the debt relief programs that are available. 3. What are the Best Debt Relief Companies? For consumers who don’t know where to turn, there are companies that specialize in navigating the complex world of debt relief. While not all of these companies are on the up and up, the vast majority are legitimate and helpful businesses staffed by honest, caring and experienced professionals. Below we review some of the best and most reputable debt relief companies we’ve found. Consolidated Credit Counseling has been in operation for more than 20 years and claims to have helped more than 5 million Americans with their services. They offer services ranging from financial education and counseling to debt consolidation, debt management, and debt settlement programs. Both Consumer Affairs and the Better Business Bureau give Consolidated Credit Counseling Services their highest ratings. Working in the debt relief industry for more than 15 years, CuraDebt is among the most established in the business. They offer debt relief, debt settlement, and debt negotiation services, as well as debt consolidation programs. They also offer a free consultation and plenty of valuable information on their website. CuraDebt receives high marks from users of its services, however, they are not rated by BBB or by Consumer Affairs. DebtBenefit.com is an online service that offers consumers a range of services from debt relief to debt negotiation, debt consolidation, debt management and credit counseling. They claim to have helped more than 40,000 people and resolved more than $1.5 billion in debt. DebtBenefit.com is a subsidiary of Freedom debt Relief, LLC, and is headquartered in San Mateo, CA. They are rated by the BBB with an A+ rating. 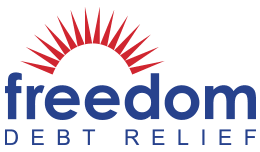 Freedom Debt Relief is the parent company of DebtBenefit.com, listed above. This parent company was founded in 2002, and claims to have helped more than 150,000 people to resolve their debt problems. They focus on debt evaluation, with debt negotiation and settlement as the ultimate goal. This company requires a minimum of $10,000 in debt to engage their services. As mentioned above, Freedom Debt Relief gets a BBB rating of A+. National Debt Relief claims to be able to get consumers out of debt within 24 to 48 months. They also have a satisfaction guarantee with a stated 100% money-back refund promise. They specialize in debt settlement and negotiation, with a $10,000 debt amount minimum. National Debt Relief deals primarily with credit card debt and does not handle IRS, student loan or mortgage debt. They are credited with a BBB A+ rating. Accredited Debt Relief provides negotiated debt relief as an alternative to bankruptcy and debt consolidation. They deal primarily with credit card debt and offer their expertise in negotiating debt settlement and debt relief for consumers. They require a percentage of what you owe be placed in a protected and insured escrow account while they work to negotiate a settlement with your creditors. Accredited Debt Relief currently holds a BBB rating of A+. 4. Are There Free or Non-profit Options Available? Credit counseling and debt relief service agencies are typically not philanthropic organizations and are in business to make money. That said, there are organizations and industry groups that offer low-cost or no-cost programs to individuals who meet certain requirements. These non-profit credit counseling and debt relief programs are typically aimed at consumers who have gotten in over their heads and need some help getting out from under credit card debt. The Consumer Financial Protection Bureau (CFPB) as well as the Federal Trade Commission (FTC) both have information on their respective websites for how to recognize debt relief organizations that are aboveboard and those that are not. Further, industry groups like the National Foundation for Credit Counseling and the non-profit American Consumer Credit Counseling service both offer information on free or low-cost debt relief programs. 5. What Should You Expect from Debt Relief Services? A reputable debt relief services company is there to help consumers get out from under unmanageable debt obligations. They offer services that can assist in negotiating debt repayment, consolidating debts into a single payment, and advising consumers on the best course of action for their unique situation. A debt relief service is not a bank or a payment service — although they may legitimately request you put a certain amount of money into an escrow account to cover payments that they negotiate. 6. Does the Federal Government Offer Programs or Grants? The federal government has limited programs that can help with certain debts such as student loans and some mortgages. These programs are specific to certain types of loans and dates when they were issued, although any consumer who meets the requirements can take part. Despite low wages and today’s high cost of living, Americans have many options for relieving the burden of debt.